What a crazy week we have had around our home this week! Seems like everyone is going in different directions with so much on the go. I can’t believe it is Thursday ALREADY. Well … now that I have brought you down with me (lol) lets see if we can cheer ourselves back up with some features from last week’s party! D.D.’s Cottage and design hit the jackpot when she snatched up this little dresser off of Craig’s List. 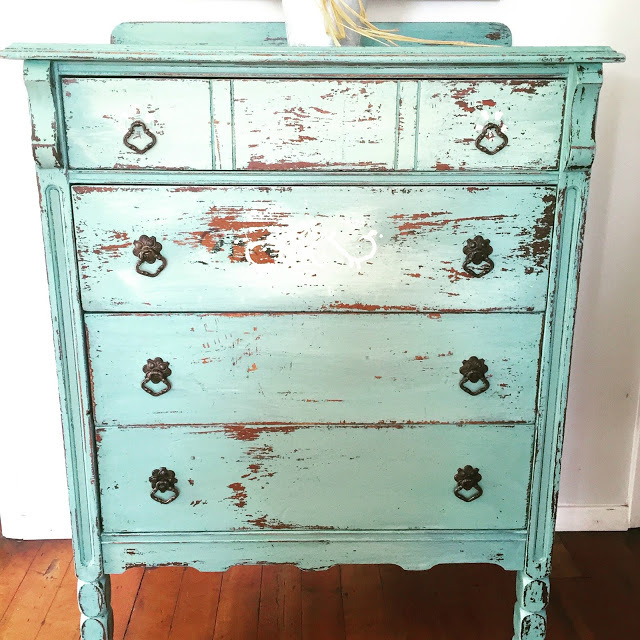 She also created a stunning new color for it by mixing left overs of MMS milk paint in Ironstone, Luckette’s Green and Flow Blue! Love this in it’s entirety …. you should see the before! 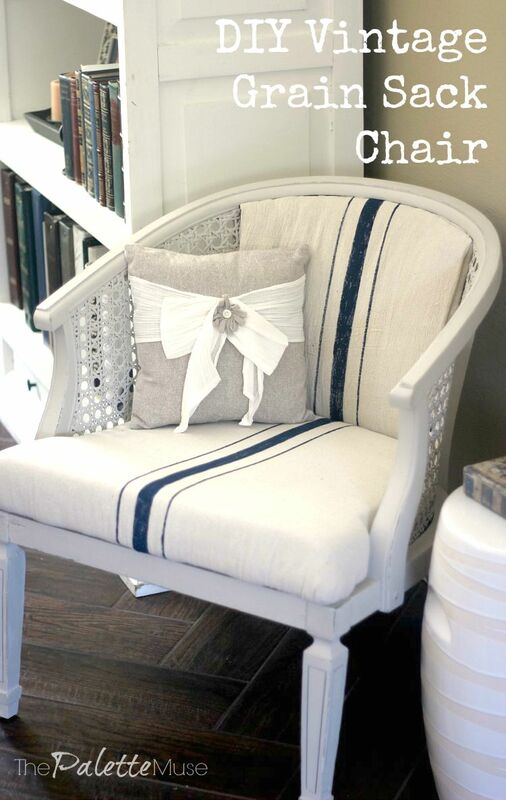 Meredith from The Palette Muse shared her makeover of a sweet barrel back chair using Dropcloth and chalk paint. It is so fresh and sweet and I love the grainsack stripe! Hop over to see how she painted on fabric! Ashley from Vintage Refined hit the head on the nail with this beautiful simple white dresser. I love that she left the top in a darker color. It truly is a timeless classic! Lastly I couldn’t help but share these Duncan Phyfe dining room chairs by Studio Paint. The fabric is truly what caught my eye! They are absolutely stunning now! This week I would like to welcome you to link up anything home decor related be it a makeover or just a favorite piece you’d like to share. Thank you for sharing your inspiring pieces! Hi Terry – Please delete my link-up #1. Just realized it was a “Furniture Only” party. Sorry Mary! I can’t delete it because it’s awesome!!! I hope you have a great weekend! I’m with you on the case of the fall “blah’s”! Oh well, nothing like a good party to cheer us up… Thanks for hosting, and for featuring my chair! With inspiration like yours one can’t help but lose the “blahs”!!! Thank you so much for joining in! Dear sweet Cynthia! 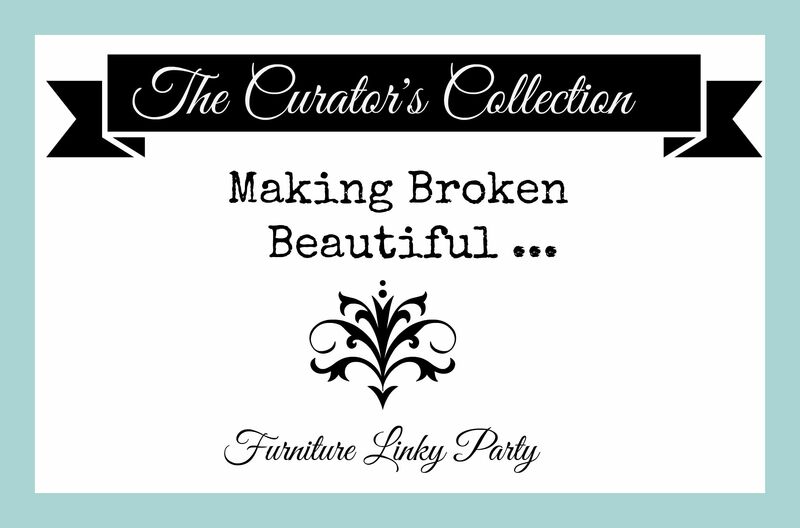 Thank you so much for being such a valuable part of Making Broken Beautiful! I appreciate your talent and inspiration each week! 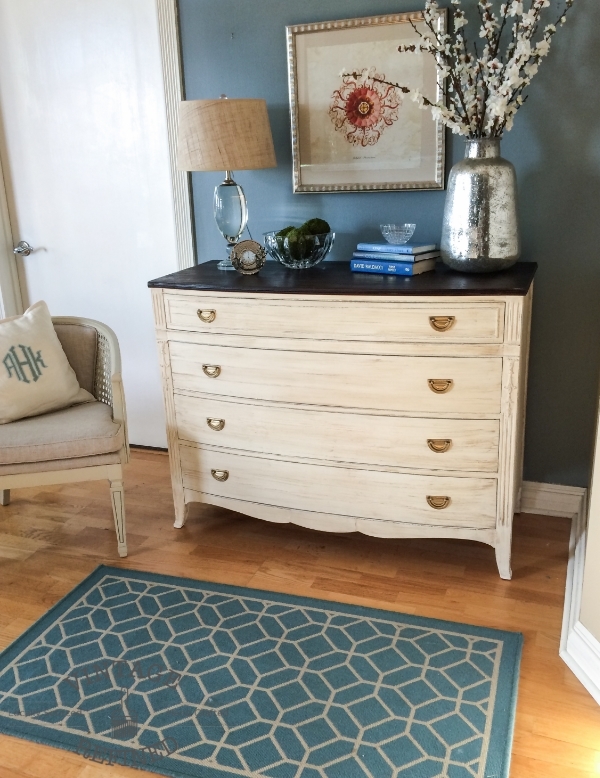 I love that you picked Darrielle’s dresser as a favorite, that color is just gorgeous! And I agree, the fabric makes those Duncan Phyfe chairs a stand out. Thanks for the party and the feature of my dresser! You are well deserving my dear! Thank you for sharing! 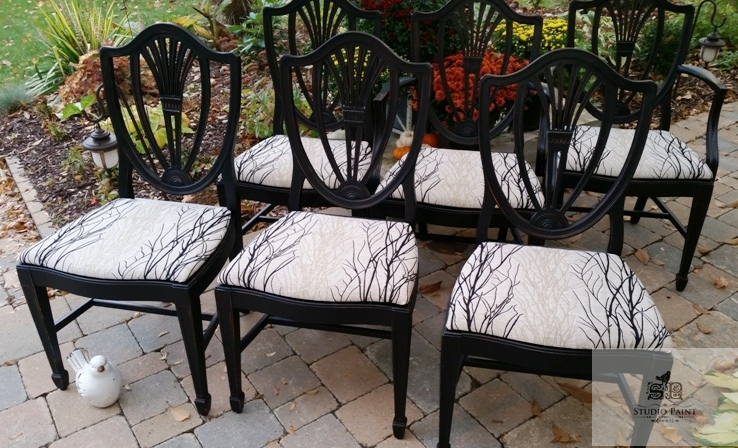 Hi Terry, Wanted to thank you again for the feature of my Duncan Phyfe Chairs for my client Stacey!! She chose that wonderful fabric to go with the paint! I’ve enjoyed your site very much…. thanks again!! Maxine! You do lovely work and your client is lucky to have your talent! Thank you so much for joining in! Smiles! Happy Halloween. Tomorrow we start decorating our booth for Christmas. Thank for your hosting this party. We’ve been away but I’m glad I’m finally back to furniture. So happy to have you! You are always welcome! I hope you have a great day!